I would LOVE to receive this! Not only does my family GC, but I also have a Little Free Library in my yard (with a cache for it). Once we read this, it would be placed out in the Little Free Library for others to read, and hopefully not only enjoy the adventure, but maybe encourage others to get into this great Treasure hunting game! Cudo’s to the author for writting on such a great subject, and making it fun to boot! Sounds like a nice book. I learned about Little Free Librarys from Waymarking. Thanks Manny! 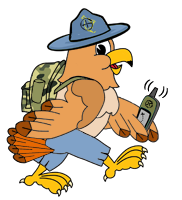 I hope you enjoy this geocaching mystery! Thanks Charlie! If you want to continue reading the story, you can find it on Amazon in paperback and eBook formats here. https://www.amazon.com/Birthday-Cache-Adventures-Await/dp/1539576523/ref=sr_1_2?ie=UTF8&qid=1486521973&sr=8-2&keywords=amanda+zieba Happy reading! My kids and I would love to read this together. Since we all cache together and they are homeschooled, it sounds like they might relate to the kids in the story. Wow Sharon, so many great connections to the book! You guys definitely need to read it! You can get your copies here. 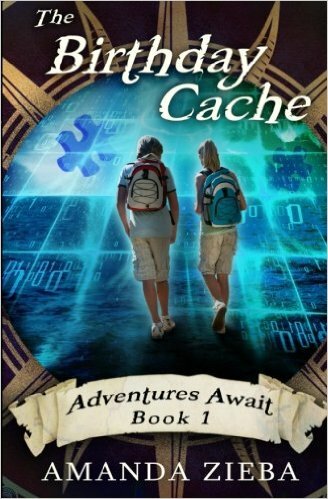 https://www.amazon.com/Birthday-Cache-Adventures-Await/dp/1539576523/ref=sr_1_2?ie=UTF8&qid=1486521973&sr=8-2&keywords=amanda+zieba I hope you love it! Happy caching and happy reading! Very cool! Yet another way to get the kids interested in and involved with a great outdoor pastime.